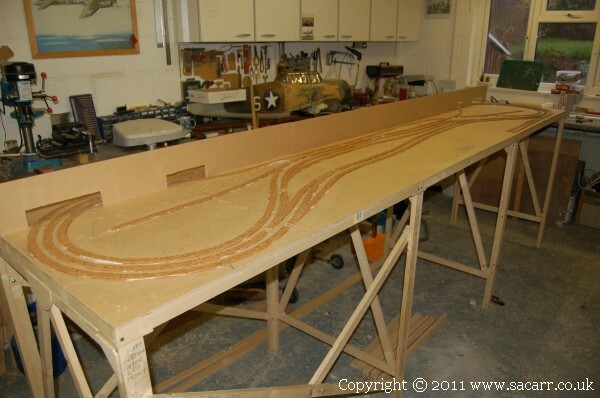 The layout is made in three sections of about 4 feet long by 2 1/2 feet wide. 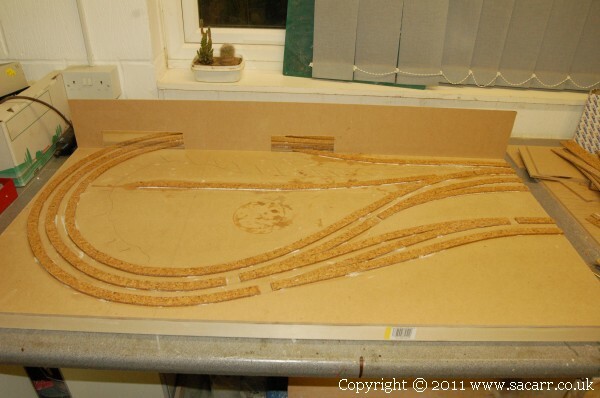 Each of the end sections have collapsible legs which in turn support the centre section. Locating pins hold the sections in line and two bolts between each section clamp them closely together. 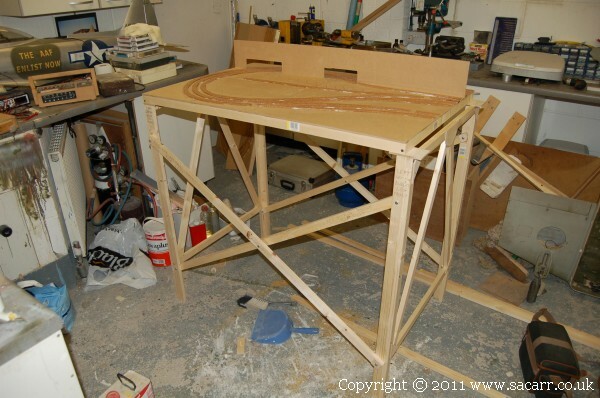 While the baseboard framework is quite thin, the backscene forms a spine along the layout to keep it all from warping.